What Does ERP Stand For? What Can It Do for Businesses Today? A business that handles supply chains, manufactures products, or distributes goods should be using Enterprise Resource Management (ERP) software. From instant stock overview between global locations to real-time delivery reporting, ERP can boost the efficiency and productivity of any wholesale, manufacturing, or logistics business. Many companies, however, still rely on outdated legacy systems, paper-based documents, and even incompatible software across departments. ERP is a type of management software that allows a business to plan, process, and review operations. But, what does ERP stand for, really? What does it do, and why is it vital for businesses to have it? What Does ERP Stand For, and How Could It Benefit You? 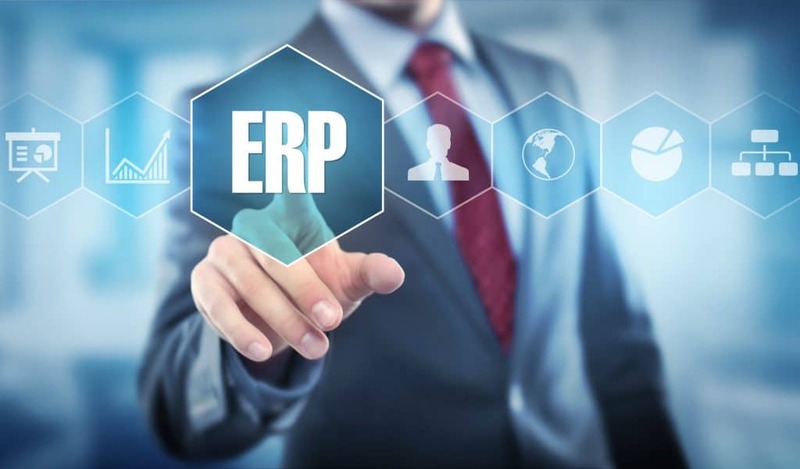 ERP stands for more than just ‘Enterprise Resource Management’. It stands for business efficiency, improved processes, and reduced stress levels! Writing every benefit of ERP software for a business would produce a work larger than War and Peace. Instead, we’ve distilled the key benefits of ERP into six key points that’ll help you decide whether it’s right for your business. Cloud-based software can be accessed from any device, anywhere. This means a multi-site distribution operation can easily see the same information from one site as another, regardless of physical location. Cloud software reduces documentation inconsistencies, as everyone works from the same system wherever they’re based. You’ll no longer struggle with mismatched documents and outdated versions: everything is within a central hub. That also means it’s easy to train staff, and they can take their knowledge wherever they move in the company. Everyone using the same resource planning software will reduce training requirements and improve efficiency. Cloud-based ERP software is hugely beneficial to growing businesses. An ERP system is comprised of modules. This means you can choose to have whichever modules suit your business at that point in time, and add or change modules as the business adapts and grows. ERP systems are scalable, allowing you to operate on a per-license basis instead of paying for individual licenses on every device. There are no wasted software costs: you only pay for what you need. Cloud software brings one more significant benefit: minimal downtime. With software that’s physically installed on devices, each one requires downtime whenever updates are required. An ERP system based in the cloud means updates take minimal time and cause little disruption. Even big updates, such as the introduction of new modules, can be easily carried out. An ERP system that operates from the cloud also widens the opportunity for multiple device use. For example, you may want your office based staff to run the software on desktops, but your factory floor requires integrated tablets for stock monitoring. An ERP system in the cloud allows for multi-device access, so you can choose the best device to suit the situation and staff needs. Field workers, such as delivery drivers, will also benefit from multi-device capabilities as they can keep in touch and provide real-time updates using a smartphone or tablet. Deliveries can be marked as complete as soon as the recipient signs receipt, with real-time updates showing on the ERP system. A good ERP system will also integrate with other common software used in manufacturing and distribution companies, such as Shopify and Salesforce. This minimizes the reproduction of tasks, making every department more efficient. An all-inclusive ERP system allows for efficient communication between departments. Instead of sharing spreadsheets between accounting and inventory management, both departments can view the relevant information within the ERP system. It’s all in one place, and it is easy to share and access the most pertinent information. Documentation can be standardized across departments, making all administration tasks faster and more efficient. Staff will know where to look for relevant information, saving time and improving productivity. Integration across departments also allows for full, real-time visibility of operations. You can easily check stock inventory levels, factory supply problems, logistics charts, and even budget targets in one fell swoop. Being able to gain a clear overview of the full ERP system at the management level also allows for fast, clear, real-time reporting. Whether a snapshot of a department’s operations is required, or an in-depth analysis of non-conformities is needed, it’s easy to generate reports. Real-time reporting means data can be quickly analyzed and a business can respond more rapidly to anticipated errors. This will reduce non-conformance costs, improve client and supplier relationships, and boost customer retention. Reports can be created to suit the audience they need to reach, too. A board level meeting will need detailed reports, while a senior management meeting may require less detail and a more visual representation of data. Whether it’s the accounts team, a new potential customer, or an ongoing supplier agreement, audits are a regular pain for most businesses. Finding audit trails takes time in a traditional paper-based business. An ERP system, however, allows for easy access to relevant information for fast auditing. Instead of taking up weeks of time prior to every audit, your accounts or quality management teams can provide complex audit trails within a day. Different access levels in an ERP system allow you to control who can see, upload, and edit documents. This improves security, as only those with the highest clearance or on a need-to-know basis will be able to see sensitive documents. Limiting access also improves staff productivity. People will know how to use their part of the ERP system, without spending time looking for information in other places. Everything they need for their job is accessible, without any unused files or folders to clutter up their processes. The customizable nature of ERP software means it can be hard to visualize how it will specifically benefit your business. If you’ve never used integrated management software before, it can all sound quite confusing. If you’re still asking yourself, “What does ERP stand for?”, don’t worry. It’s much easier to understand when you can see the software in action. Book a free demonstration to find out just how ERP could benefit your business.